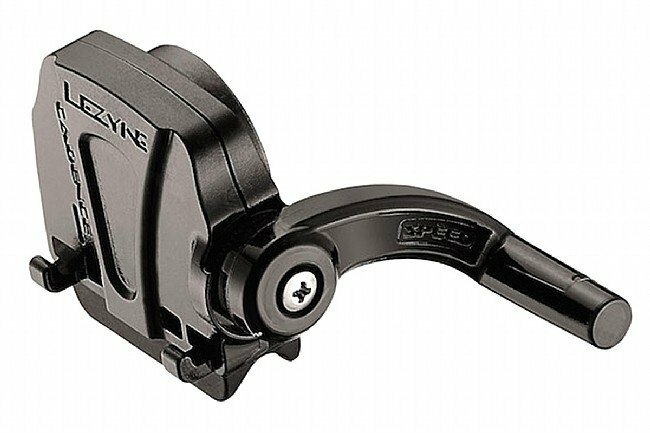 The Lezyne Cadence Speed Flow Sensor is an advanced 2-in-1 speed and cadence sensor. Conforms 100% to Bluetooth Smart standards for max compatibility. Powerful rare earth magnet provides wider engagement spacing. Durable, lightweight polycarbonate construction with translucent body and LED indicators. Adjustable swingarm and versatile mounting system. Replaceable CR2032 coin cell battery optimized for long-lasting use. I purchased this sensor as part of the loaded bundle. The other reviewers here (only 2 at the time) complain of the sensor quiting. I have never had the sensor lose contact with the head unit. The one thing you have to be wary of, though, is the placement or movement of the sensor on the stay. My sensor has the habit of moving slightly so that the speed sensor and the magnet are too far apart that they dont read. All that you have to do is readjust the positioning of the sensor. I put a bit of helicopter tape on the stay underneath the sensor to both protect from scratches, and provide more friction to keep the sensor from moving as much, although it is my heel that is the typical culprit. Similar to the other review here, I got this speedcadence sensor as part of a combo kit with the computer. The sensor would sync upon the original pairing with the computer. If the sensor timed out and turned off, it would never wake up. No matter how i adjusted the magnets. Lyzene took both parts in for warranty service. They returned the computer and gave me a new sensor. Same issue. However, the computer works fantastic with other sensors. Pass on this sensor. I got this as part of a bundle with the Super GPS, I have no complaints with the Super GPS. BUT the Speed and Cadence sensor is a piece of crap. It has stopped in the middle of rides on a couple of occasions, and will once again not connect. I wanted a cadence sensor to help me increase my speed, but I will look for a different product!! !